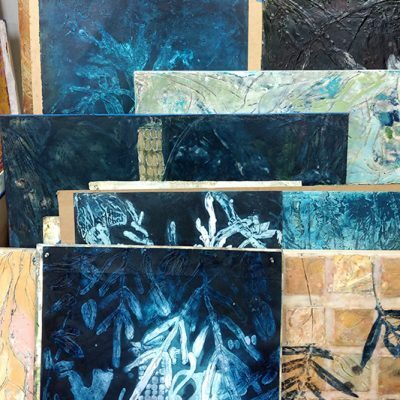 A one-day workshop introducing cold wax medium and techniques to use it in painting and mixed media work. 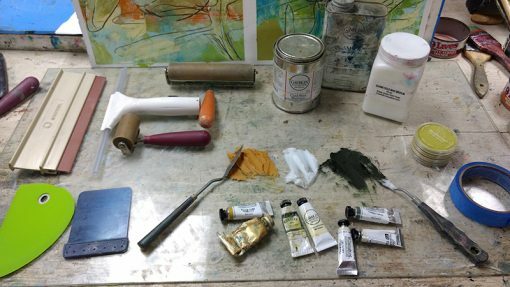 We will cover all the basics so that you will understand how and, more importantly why, you might incorporate using cold wax medium into your artistic practice. So get basic training here, including using the materials safely and efficiently. Deb’s workshop was a lot of fun, casual yet very informative. She had handouts to describe formulas and recipes for cold wax as well as supplying you with all and any materials that would be used throughout the workshop. This allowed for the freedom to work and experiment as much as you wanted. I left the workshop pleased with what I had accomplished and motivated to continue working in cold wax. 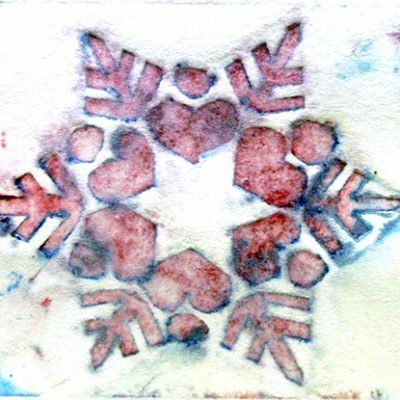 This is a great first step workshop for anyone interested in learning about cold wax. Deb is a patient, caring guide who provides a casual, comfortable environment to learn in. She has a unique studio that is filled with art and plants and creative inspirations. Thanks so much for the cold wax workshop. You are so well organized with materials and space for each artist to have our own space to work and try out each exercise and all the materials. Further, your suggestions were very welcomed! I really enjoyed exploring this new medium and Deb was a great guide. She created a relaxed and low-pressure workshop — my only regret was that it wasn’t longer! I would just like to say what a wonderfully creative day I had recently at Deb’s Cold Wax workshop. You could not ask for a more inspiring setting. Thanks. Deb Claffey’s Cold Wax workshop provided me with a plethora of information, inspired my creative thinking, and I went home with examples of work I created in her spacious studio. She tailored her discussion based on our individual needs and provided materials to experiment with. It was very informative and I went home with a head full of ideas! This is a really helpful workshop and I recommend it for anyone wanting to know more about cold wax. I had so much fun taking this class! It was a totally new medium for me and Deb made it accessible and fun, and taught us so much about encaustic. The atmosphere was very relaxed and comfortable. I will definitely be taking more classes. Highly recommend!! 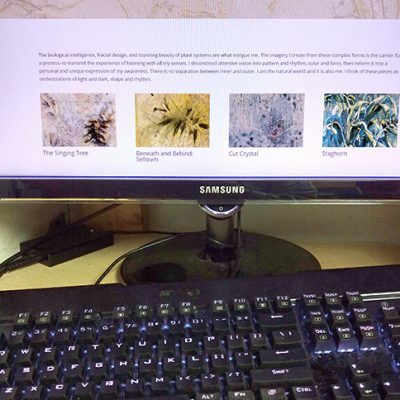 The one-day workshop with Debra Claffey opened my eyes to the many ways using cold wax medium with oils can create interesting abstract paintings. Her instruction was very thorough, from understanding how to mix your own cold wax medium to tips and tricks in creating special effects with paint. I thoroughly enjoyed playing in her studio for the day and would recommend her to anyone interested in working in cold wax and oil. My two- day workshop with Deb not only helped me to better understand how to work with cold wax, but also introduced me to color mixing. The combination of a relaxed studio atmosphere and solid technical information encouraged experimentation and personal exploration. Deb was well prepared and explained processes clearly. I came away with a number of pieces that broke new ground and with a desire to continue working in this medium.